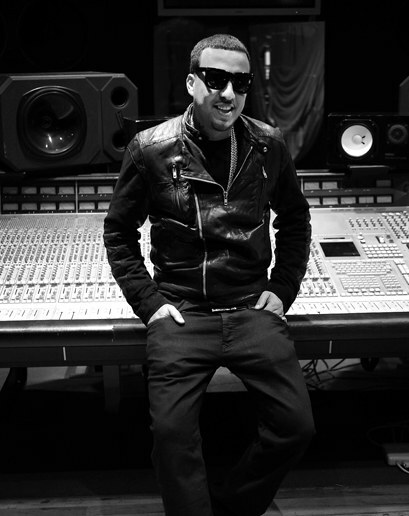 FYI, French Montana’s take on Kendrick Lamar is a little against the grain. On the intro to his latest mixtape, Wave Gods, the rapper poses a rhetorical question: “Why isn’t street rap selling like Kendrick?” During a sit-down with Power 105.1’s The Breakfast Club on Tuesday (Feb. 23), French was asked for his own answer this inquiry. Discussing K. Dot’s music and how it was received at this year’s Grammy Awards, French concluded that the powers that be are intentionally seeking to change the course of the genre. French Montana also discussed criticism against East Coast artists for not maintaining their “sound,” and offered his take on certain mixtapes being better than albums. During the Kendrick discussion, he was asked if he would ever release a “conscious” record. “You definitely wanna grow outside of your own comfort zone, to see what you capable of. But I’ll never jump somewhere where I can’t come back from,” he replied.